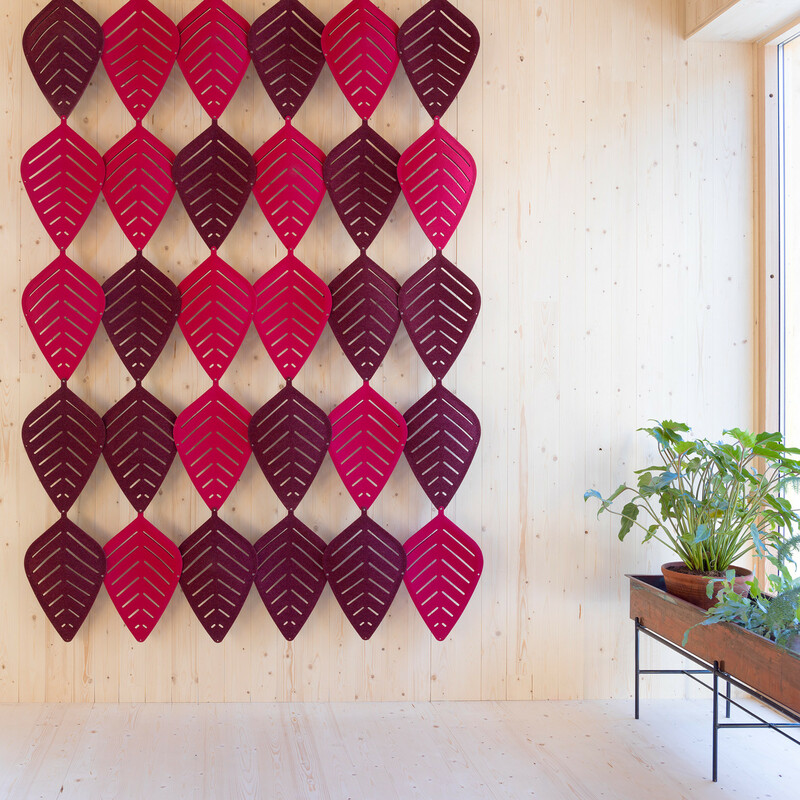 Airleaf Acoustic Panels designed by Stefan Borselius were designed with the aim to bring nature back indoors. 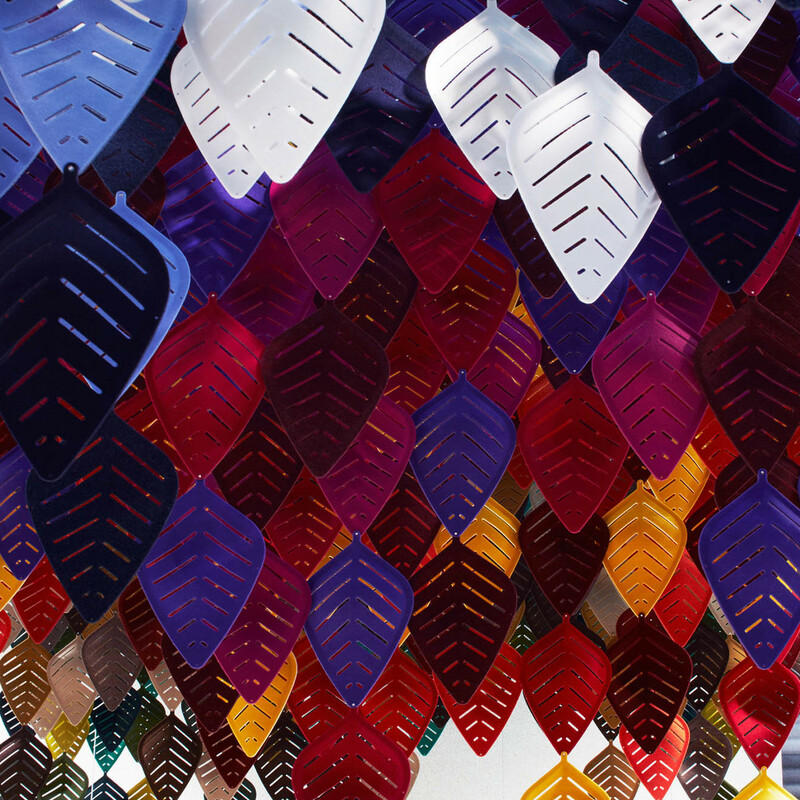 The leaf-shaped acoustic modules can be linked to create sound-absorbent screens in a variety of patterns and formats. 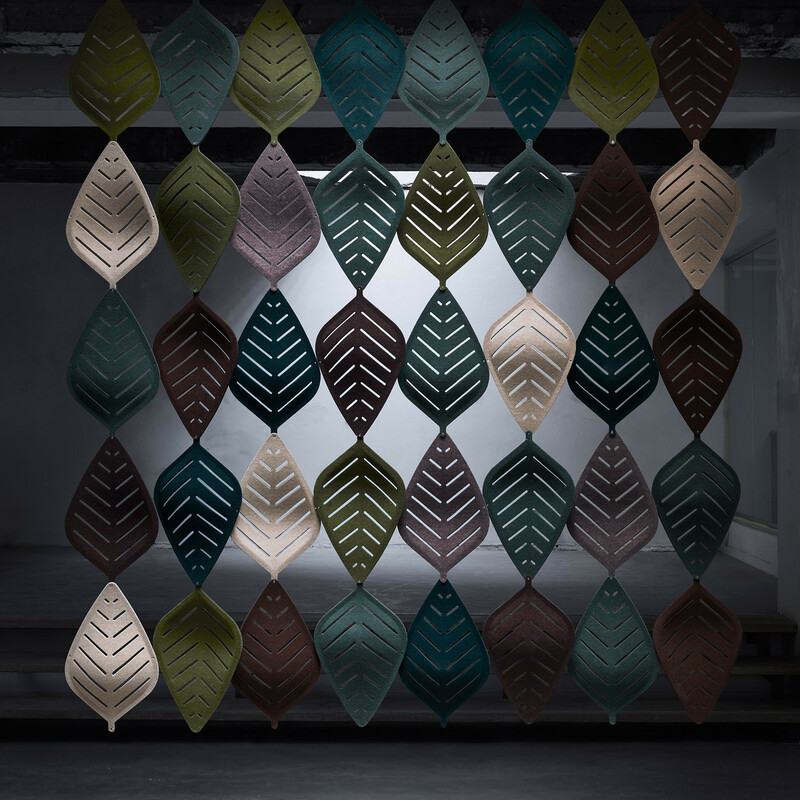 Much like the previous success of Airflake panels, Airleaf is made to gently separate and to build a pleasant soundscape, while simultaneously preserving spatial openness. The degree of openness depends on how the leaves are combined. 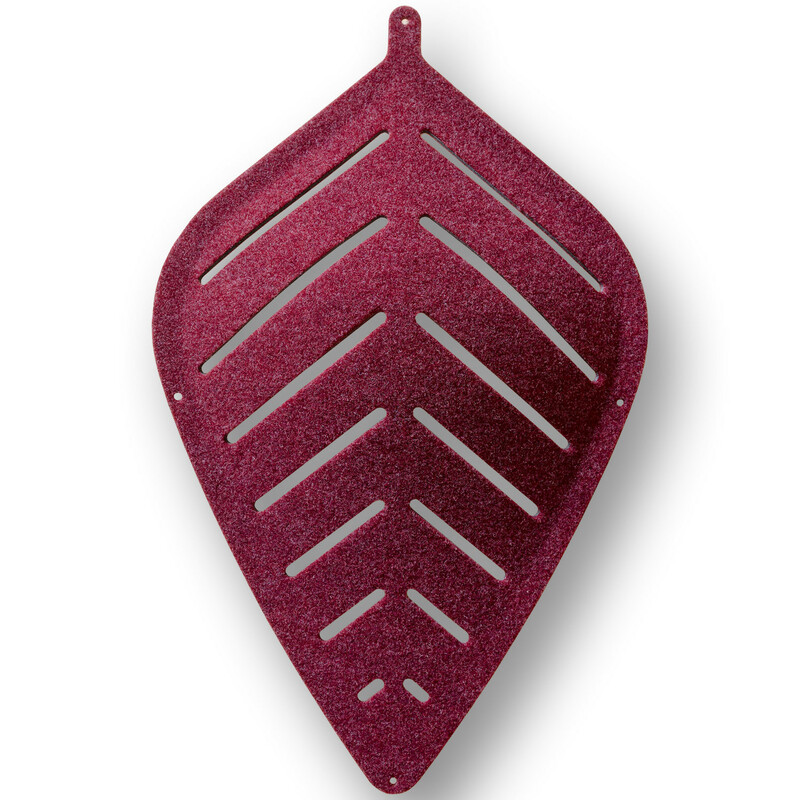 Airleaf acoustic panels are made out of moulded felt and can be hung from the ceiling. It is just as simple to mount, as it is to vary. Airleaf acoustic panels come available in 30 different colours. Airleaf Panel Size: 289×467 mm. View more furniture from Abstracta furniture. You are requesting a price for the "Airleaf Acoustic Panels"
To create a new project and add "Airleaf Acoustic Panels" to it please click the button below. To add "Airleaf Acoustic Panels" to an existing project please select below.